My daughter Isabella has a dear friend named Aubrey and they have known each other since birth. The thing I love about these two being together is that they always manage to have a good time. AND it's a plus that Aubrey's mom, Amy, is a great friend of mine so while the girls play we get to catch up which is a win-win for everybody. I was skimming through photos and just wanted to share some of the most amusing that I found of these two little monkeys hanging out through the years. Striking ballerina poses in front of the fountain at sunset. Apparently Happy Meal containers double as hats. Wearing similar colored dresses during Isabella's birthday party. Putting on an impromptu show at the Barnes & Noble stage at the Grove. Riding the fish at the mall playground. Karaoke! We train 'em young. The little monkey and the ladybug. Stowaways in the pumpkin cart. Celebrating Isabella's 1 month birthday in front of Menchies. Looking forward to more memories. My daughter and I were invited to see Disney's "Beauty and the Beast" Sing Along at the El Capitan Theater yesterday. This experience was very near and dear to my heart for many reasons. The first being, neither of us had ever been to this beautiful theater. The El Capitan's architecture on the inside was amazing! There was a stage where Belle came out prior to the performance and invited everyone to join in during the songs of the movie. She danced across the stage and in the end of her brief appearance confetti shot out into the audience. The balcony of the theater. Belle greeting the audience prior to the show. This was also my daughter's VERY first movie going experience! I wasn't sure how she was going to react and was afraid that she wouldn't sit still but once the story of Belle and the Beast unfolded on the screen she was hooked! It also helped that we attended the "Toddler Tuesday" performance of the show. I highly recommend this to parents because they turn down the sound and leave the theater dimly lit so children aren't too overwhelmed once the movie starts. I was amazed to discover how intuitive my daughter was. There was a point in the movie where Belle was crying and she turned to me and said, "Sad." and I assured her that Belle would be okay. Disney memorabilia at the gift shop. The sing along feature added so much fun to our whole movie-going experience. My daughter was even impressed at the fact that mommy knew the words to all the songs. She turned and smiled every time I sang (even though I'm sure not everyone was such a fan of my off tune singing). I laughed out loud at some of the lyrics like, "No one's neck is as thick as Gaston!" The songs in "Beauty and the Beast" will definitely become a favorite in our house. Singing along to the words on the screen. I watched my daughter's face during half of the performance. I think one of the best things about having a child is being able to experience everything through their eyes. Growing up, my family couldn't afford to go to the movies so I felt very blessed that I was able to experience this with her. In a way, I felt like I was a little girl all over again. Don't miss Beauty and the Beast Sing Along at the El Capitan showing through October 7th. Thank you to Disney for having us as their guest! This will definitely be an experience we will treasure and remember for years to come! Disclaimer: I was not paid for this post. I was provided tickets to the movie and the views and thoughts expressed are my personal and honest opinion. My 2-year-old daughter LOVES Minnie Mouse. In fact, she learned the color yellow based on Minnie's shoes. If there is anything associated with these loveable Disney characters we always find a way to go. Luckily, Disney Live! 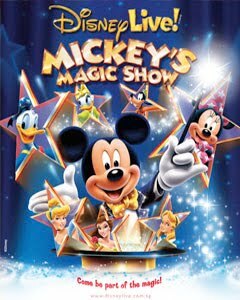 is presenting Mickey's Magic Show in my home-town of Long Beach, CA and we will definitely be there to witness all the magic happen. In a captivating combination, Master Magician Mickey Mouse and the always-dazzling Minnie join forces with professional illusionists for a magical production on stage. Disney Live! 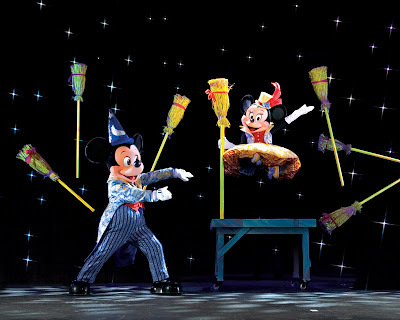 presents Mickey’s Magic Show features grand illusions and favorite Disney characters, including Donald and Goofy; Cinderella and her Fairy Godmother; Alice in Wonderland and the Mad Hatter; and beloved Disney princesses Jasmine, Belle and Snow White. From the breathtaking levitation of Minnie and Jasmine to the transformation of Cinderella’s rags into riches in a split second, Disney Live! 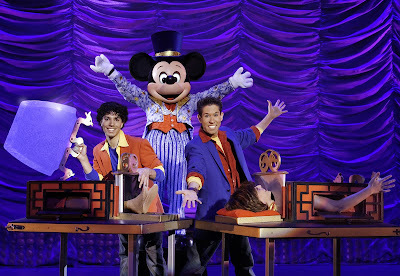 presents Mickey’s Magic Show gives families a whole new way to experience Disney magic. Adults and children alike will delight in this stunning spectacle that will keep them in awe from opening act to curtain call. JC for the "Oikos" and Melanie for the "Yobaby!". Congratulations ladies and thank you to all of my followers for entering! Check back for my next giveaway!